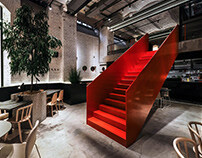 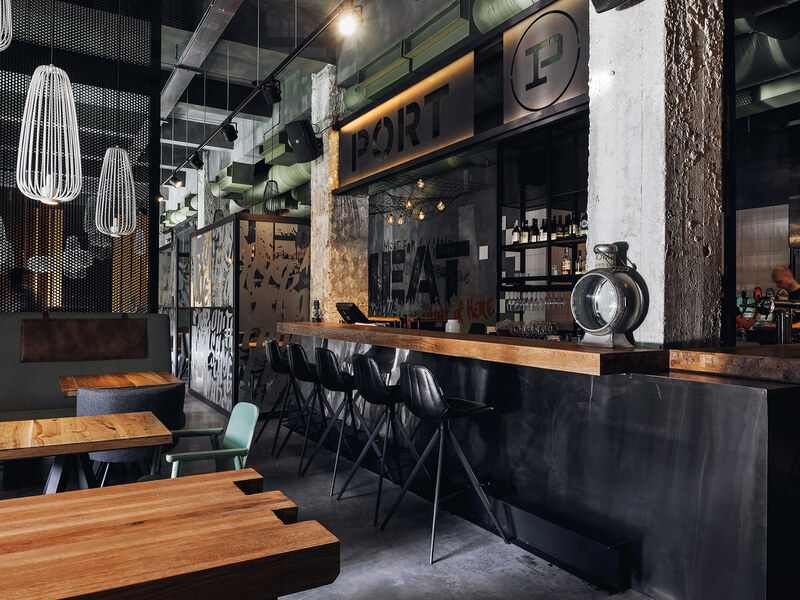 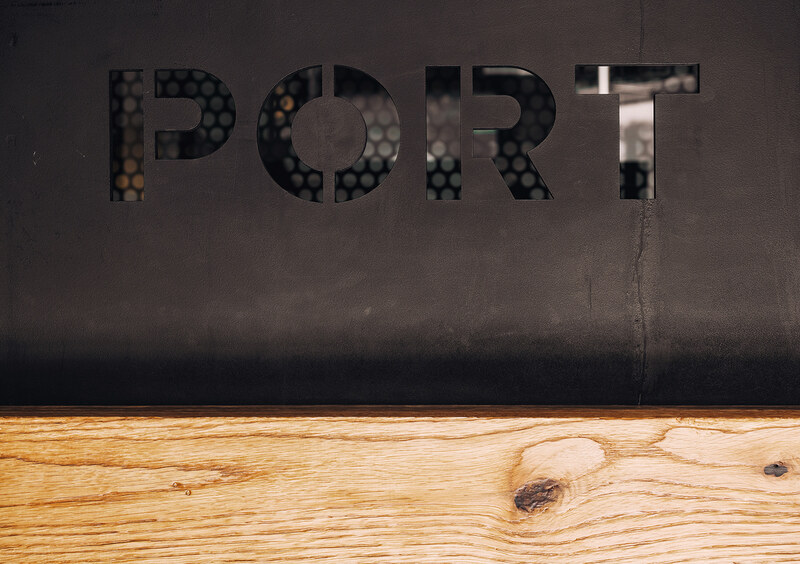 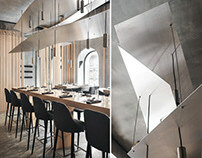 PORT2.0 is one of the few seafood restaurants in St. Petersburg and the second PORT restaurant, developed by our bureau. 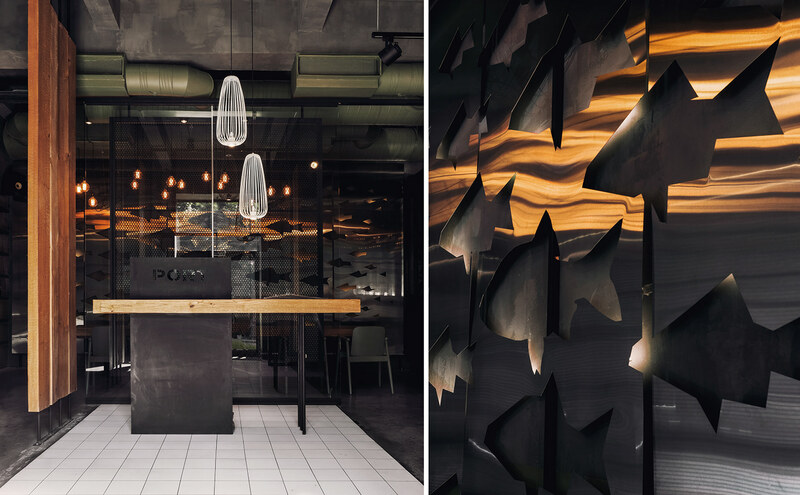 When developing the project, we tried to create the effect of brutality and simplicity in the interior, typical of Northern fishing ports and ships, but at the same time to avoid direct associations with the marine theme. 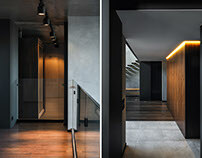 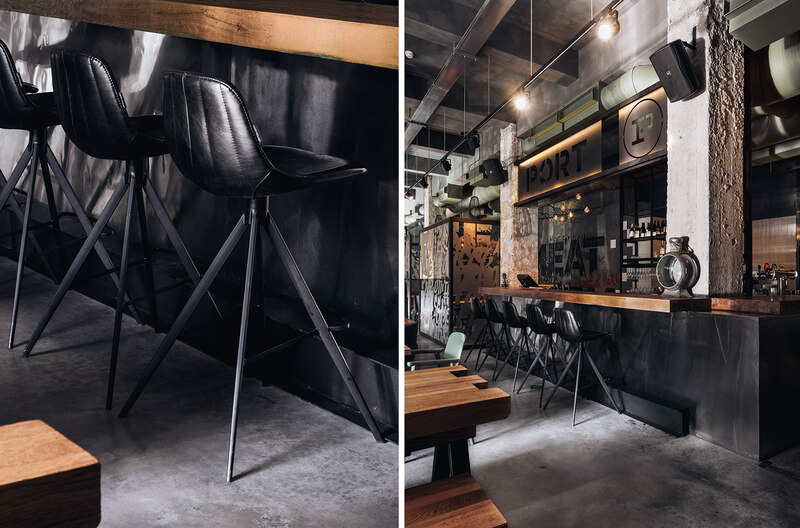 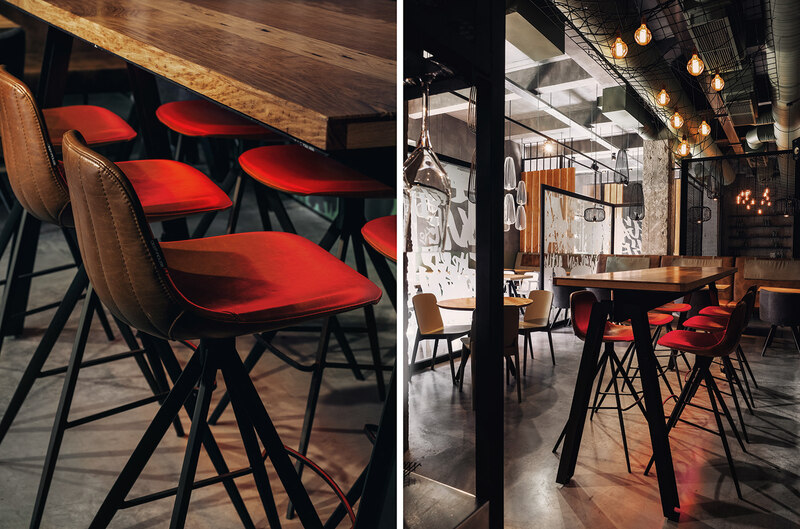 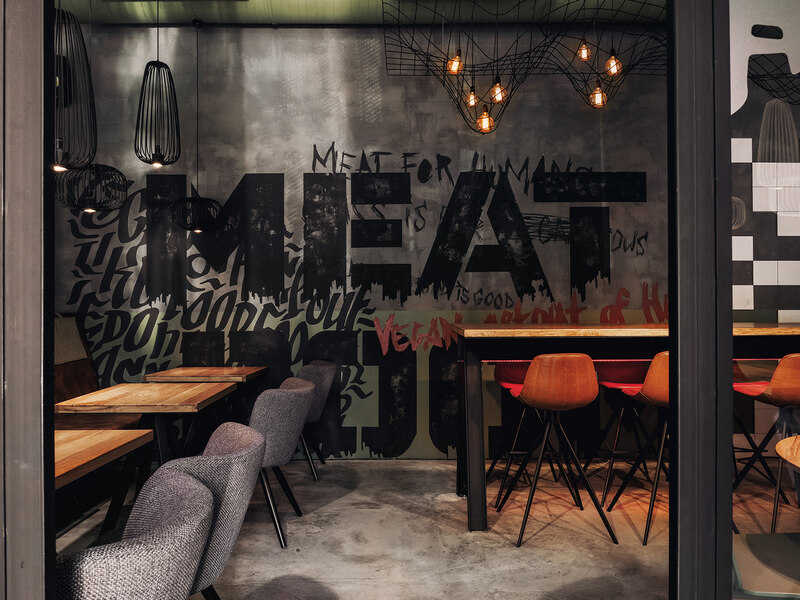 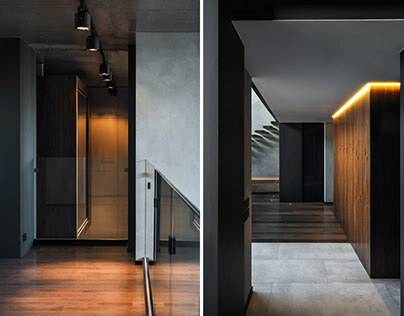 Conceptually, the interior represents a mixt of rough industrial style and Scandinavian minimalism, which enabled us to achieve the desired atmosphere. 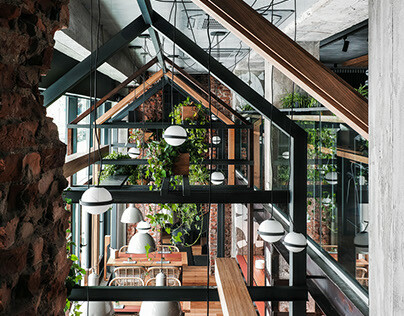 Originally, the hall had massive structures from concrete columns and beams, huge ventilation pipes, which imparted an industrial style to it. 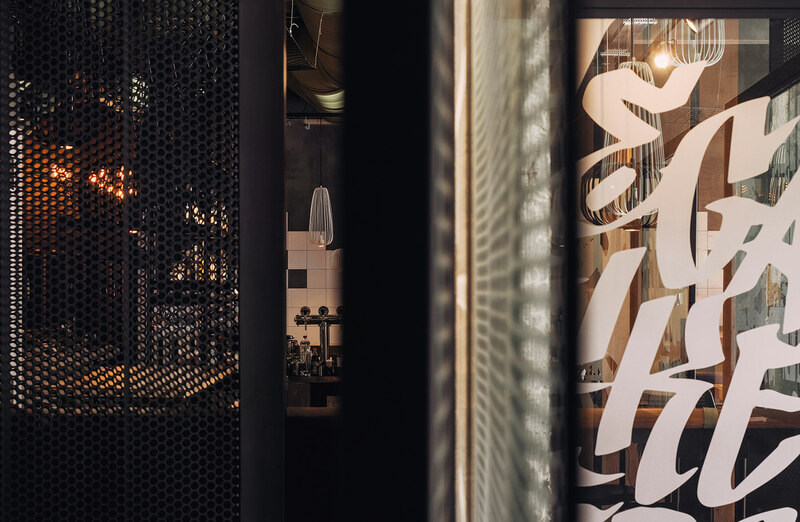 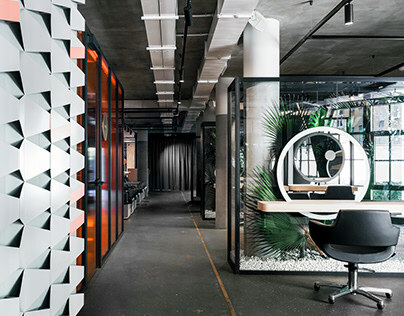 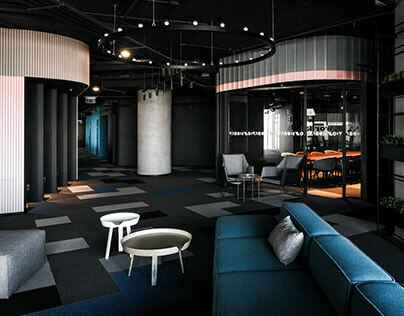 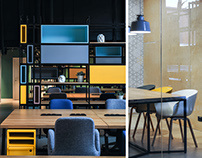 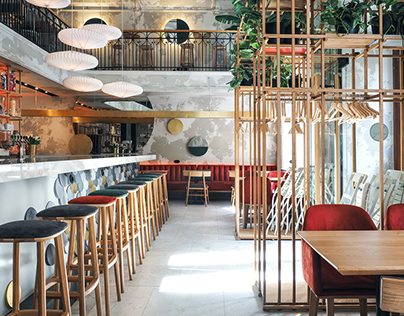 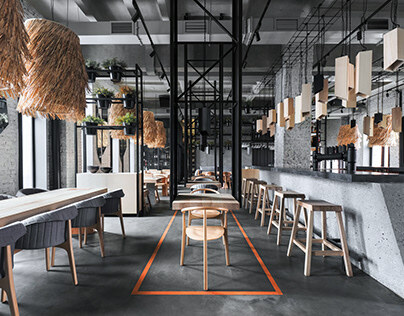 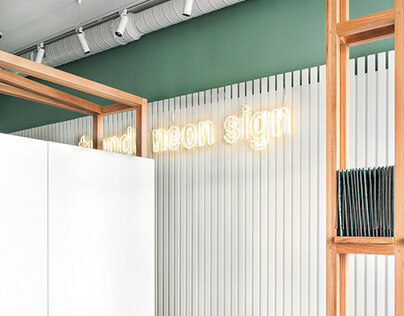 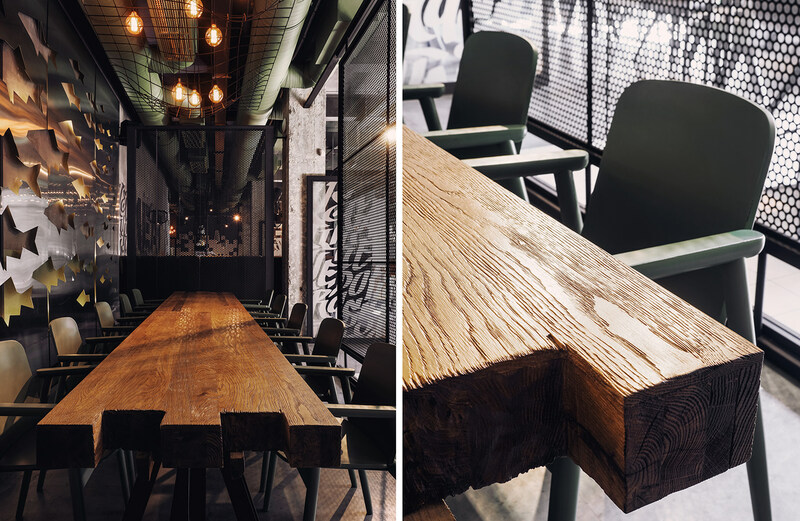 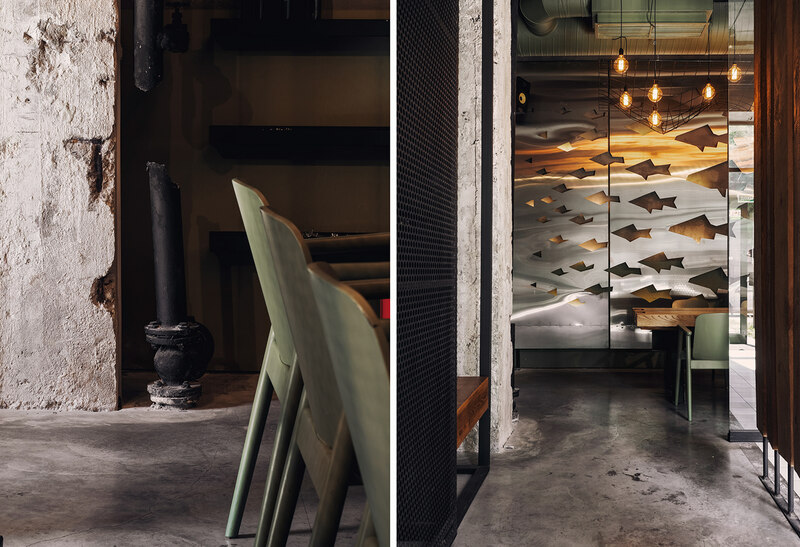 A number of elements from metal pipes, channel beams and nets added to the industrial character of the interior, while the white square tiles on the floor and on the walls, combined with massive wooden elements (partitions and table boards), filled the space with Scandinavian motifs. 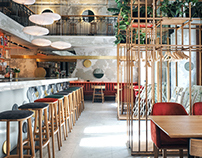 All the illumination was custom-made: large chandeliers – nets with numerous light bulbs above the shared tables – and white jellyfish lamps hung in groups over the seats along the windows – also have indirect reference to the marine theme. 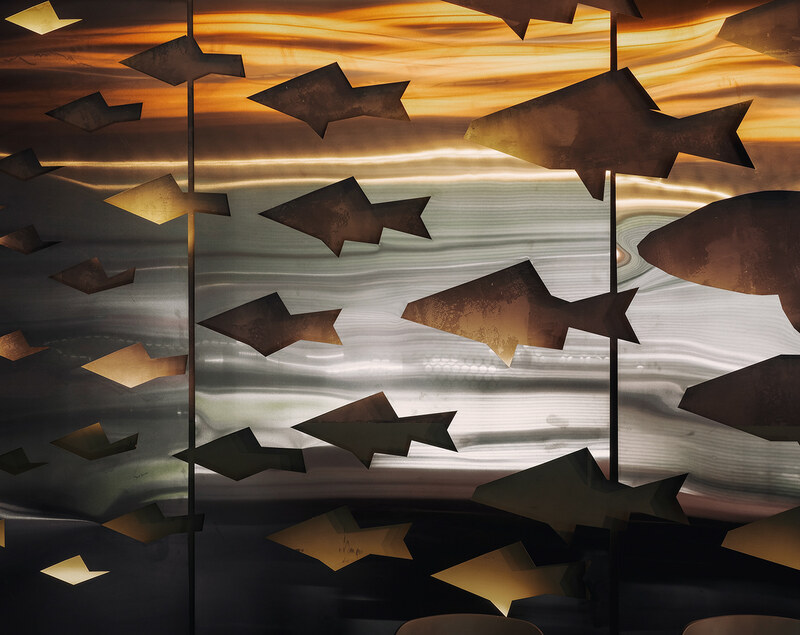 One of the most interesting spots and, undoubtedly, the main attraction point of the interior is a large full-wall mural executed of stainless steel, with a minimalistic-fish pattern carved in it.